"I have had a life which, for variety and romance, could, I think, hardly be exceeded." ARTHUR IGNATIUS CONAN DOYLE was born on May 22, 1859, in Edinburgh. After attending Jesuit schools in England and Austria, Arthur studied medicine at the University of Edinburgh. On graduation, he held a number of jobs, including ship's doctor on a Greenland whaler, before establishing his own medical practice in the Portsmouth suburb of Southsea. Developing his talent for writing as he struggled to make a living as a physician, he created Sherlock Holmes under the influences of Edgar Allan Poe, Emile Gaboriau and his old Edinburgh tutor, Dr. Joe Bell, who brought the same talents of observation and analysis to medical diagnosis as the fictional sleuth would bring to detection. 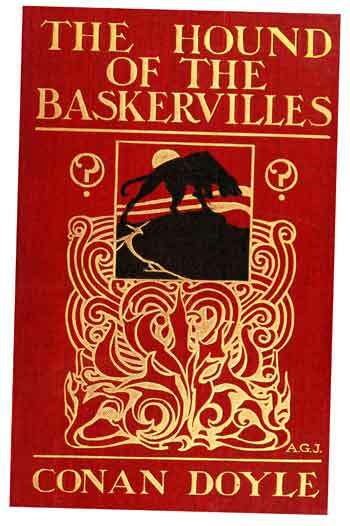 Conan Doyle sold the first Holmes story, A Study in Scarlet, for £25 outright and saw it published in Beeton's Christmas Annual in 1887. His historical novel, Micah Clarke, was published to some success in 1889 and the second Holmes novel, The Sign of Four, first saw print in 1890. The next year he moved to London where, with the publication of The White Company and the appearance of the first Sherlock Holmes short stories in The Strand Magazine, Arthur gave up medicine in favour of full-time writing. 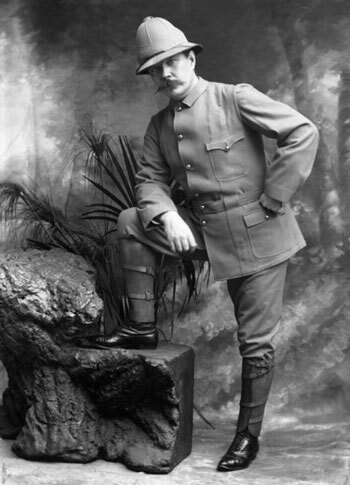 Conan Doyle served as a volunteer in an army field hospital in South Africa during the Boer War. Disturbed by international criticism of British actions during the war, he wrote and privately published an influential pamphlet, The War in South Africa: Its Causes and Conduct, strongly defending British behaviour. Largely due to this effort, he was knighted in 1902. 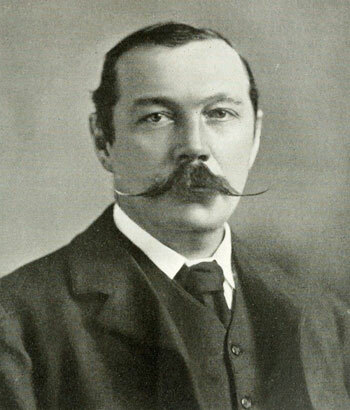 Long interested in psychic phenomena, Conan Doyle announced in 1916 that he would dedicate the rest of his life to Spiritualism, and launched a campaign to convince the world that the dead actually communicated with the living. As a young doctor in Portsmouth, he married Louisa Hawkins in 1885. The couple had two children: Mary (1889) and Kingsley (1892). In 1893 Louisa contracted tuberculosis, and Arthur spent the next seven years consulting with specialists and seeking places to live that would be more beneficial for her health. A year after Louisa died, Arthur married Jean Leckie, who he had met ten years earlier. They had two sons, Denis (1909) and Adrian (1910), and a daughter Lena Jean (1912). In a full, active life, Sir Arthur Conan Doyle came to know many prominent people, including George Bernard Shaw, Theodore Roosevelt, Noel Coward and Rudyard Kipling. Late in his life he was described as "the most prominent living Englishman." He died on July 7, 1930 at his home in England surrounded by his family. Conan Doyle's is one of the most examined lives you can find. Here are the best of a large number of biographies. Of course, all of these titles are available in the Collection. Conan Doyle's autobiography, first published in 1924. Lelleberg, Jon, Daniel Stashower & Charles Foley, Arthur Conan Doyle: A Life in Letters. New York: Penguin Press, 2007. Lycett, Andrew, The Man Who Created Sherlock Holmes: The Life and Times of Sir Arthur Conan Doyle. New York: Free Press (Simon & Schuster), 2007. Stashower, Daniel, Teller of Tales: The Life of Arthur Conan Doyle. New York: Henry Holt & Co., 1999. Although the Holmes "canon" of 56 short stories and four novels remains Conan Doyle's best-known work, his output varied widely. Perhaps the next most famous after Holmes is his 1912 science fiction novel, The Lost World, which tells the story of an English scientific expedition to darkest South America, where they discoverd an isolated plateau, home to living dinosaurs and cave-men. 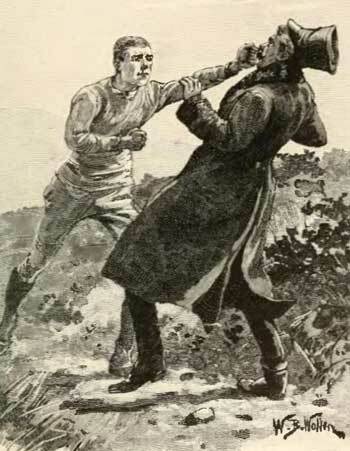 The story introduced another enduring Conan Doyle character, the irascible Professor Challenger, who would return in two further novels. The Lost World inspired Michael Crichton's own novels of man vs. dinosaur, Jurassic Park and The Lost World. Conan Doyle's great love was historical fiction. He wrote a number of historical novels that, though well received at the time, have mostly been forgotten. Perhaps the best of these are his two novels of the 14th century, The White Company and Sir Nigel. These books follow the adventures of a company of English archers during two of the pivotal battle campaigns of the times. Though the tales are lively and the battle scenes are vivid, some critics say that the books are overburdened with quaint period dialog and historical detail. Conan Doyle judged them the best work he had ever done. Other historical novels, including Micah Clarke, Rodney Stone and The Great Shadow are worth reading if only to get an idea of another facet of Conan Doyle's literary output. Humour was always a part of Conan Doyle's stories, and some of his best stories are out-and-out comedies. Among the best are the short stories following Brigadier Gerard, a hapless soldier in Napoleon's army who carried an inflated opinion of his own charms and abilities. Time and again he fell into dilemmas from which he was rescued in spite of his own actions. A lover of the stage, Conan Doyle also set his hand to writing plays, including a Sherlockian tale based on "The Speckled Band" which had a successful run in London's West End. Moved by his own wartime experiences in South Africa, he penned a history of the Boer War. Fifteen years later he began writing a World War I history even as the battles raged across the Channel from his home. The British Campaign in France and Flanders (1920) would eventually grow to six volumes. Whatever one might think of his novels, Conan Doyle was a true master of the short story. In addition to the Holmes canon, he wrote many memorable horror, science fiction and adventure tales that still work today. Conan Doyle's works have been translated into film, from the first Holmes movie, Sherlock Holmes Baffled, in 1900 to The Lost World (1926). Recent adaptations of the Holmes and Watson stories to film and television, some in a modern setting, are tributes to the staying power of the detective and his companion. Much of his later literary output consisted of essays, letters and books on Spiritualist topics. Though he always felt that Holmes was one of his lesser creations, Conan Doyle continued to write new adventures for the detective almost until his death. He leaves behind a rich literary and personal legacy, well represented in the Toronto Reference Library's Arthur Conan Doyle Collection.